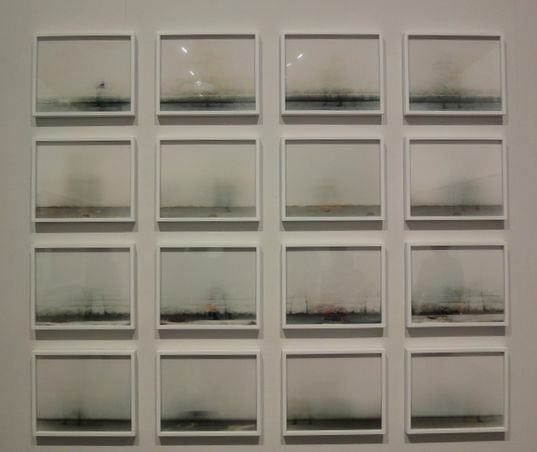 I love the artist who is using photography as a new method of expression. 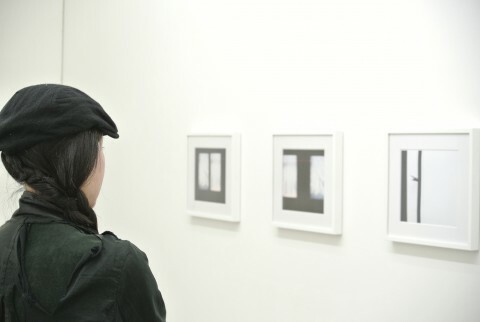 Tokyo Metropolitan Museum of Photography was showing artworks by 5 emerging artists. Although they are all using photograph as a medium, their expressions were beyond our imagination and captured my eyes with excitement. 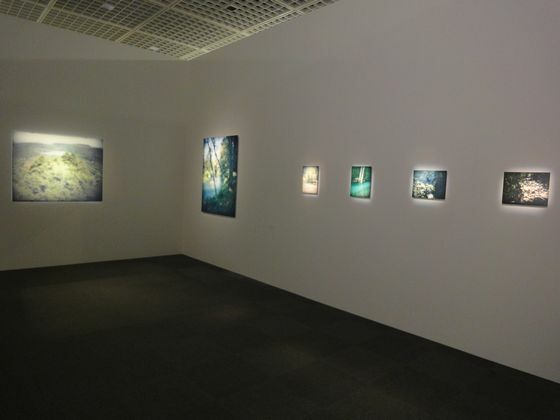 By seeing their works, I felt like the works are questioning me about the experience of seeing. 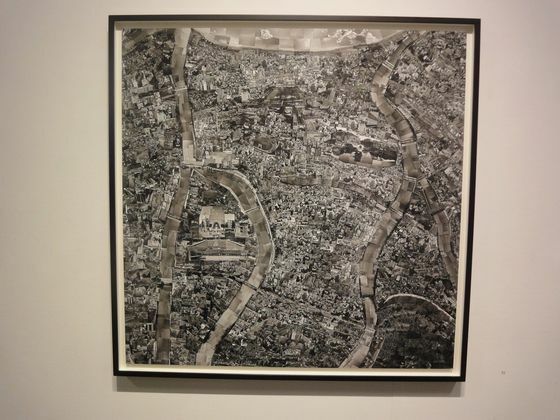 Sohei Nishino created a bird eye landscape by taking more than 3000 photographs for each city. 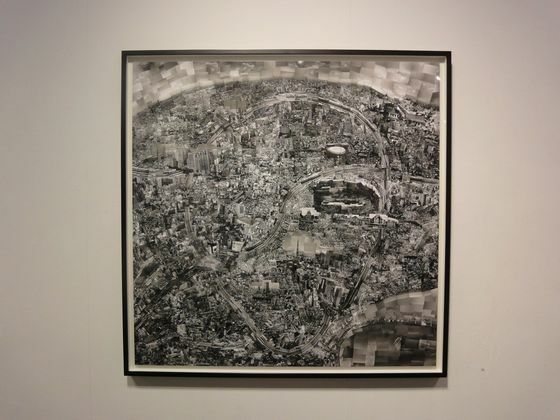 These artworks are around 60×60 in (150x150cm) large so that you can see detail of every single image in the work. Some images are exterior?appearance?of famous sightseeing spot while others are picturing people’s face he met that area. 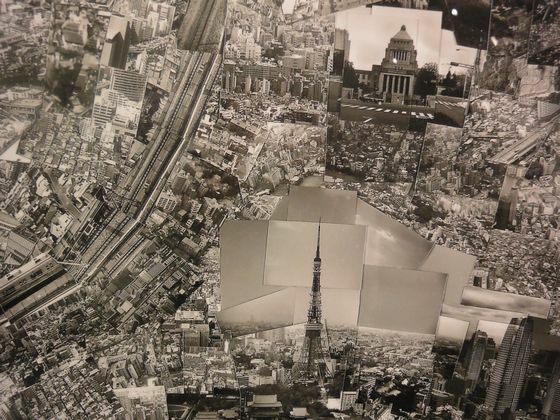 After taking all photographs, Nishino faces in front of a large white wood panel and starts to allocate each photograph by viewing a physical map, doubling it with a map in his mind. There was a video showing the process of his creation. It was interesting to see that he creates one zone of the map at a time, flies to another zone and connects each area in the end. Not spreading widely from one area where is covered first. ‘Movement’ is always an important element in my ‘Diorama Map’ seires, I come into contact with the subjects while moving en route to a certain place, and it is through these physical experiences that the work is created. 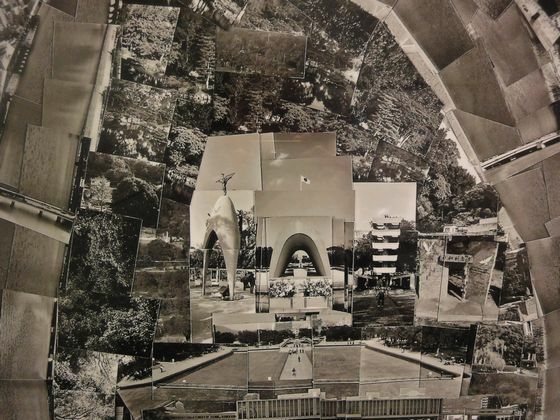 At the same time, by superimposing my own photographic activities on a map, it provides me with an opportunity to see the way in which I perceive the world that spreads out before me eyes. Ken Kitano layered around 30 photographs of one categorized human being. 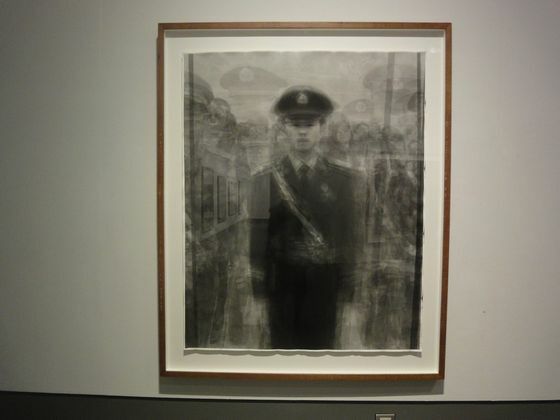 The subject ranges from soldiers guarding Tian’anmen Square or girls cosplaying in anime costumes. You must have a image pops up into your mind when you imagine a typical categorized people. But when they are actually collected and layered in one piece, most of the details got blur except the face. It may be because when the one thinks and behave similar to another, their face will come to resemble each other, like husband and wife. 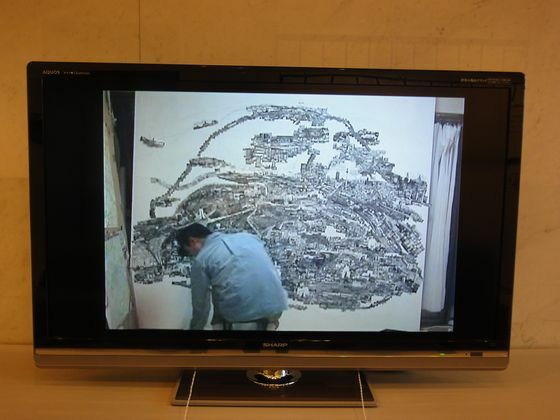 Kitano thinks a portrait is a apparatus by which we replace ourselves with others. It contains spontaneous possibilities allowing us to imagine the existence of ‘others’ as if it were ‘our own’ ?and should confront us like a mirror and ideally full size. That is why he printed this work in life size. “Metaportrait of 34 girls cosplaying in anime costumes at a comike (comic market)” by Ken Kitano, Taipei Taiwan, April 18 2009. 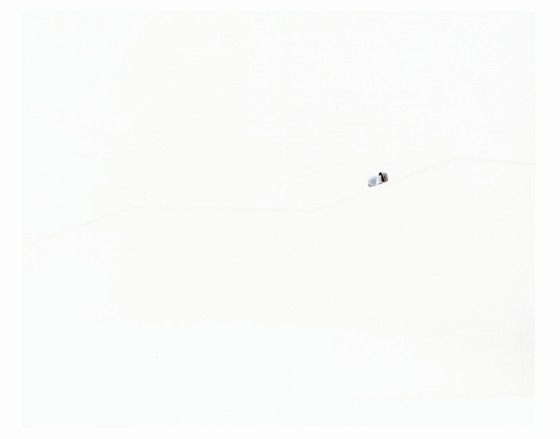 Large part of Maiko Haruki’s works are dominated by black or white. 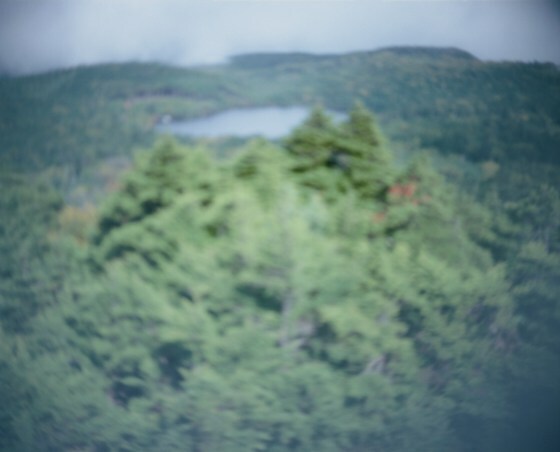 She takes photographs using extremes of over or under exposure to create this?mysterious sight. 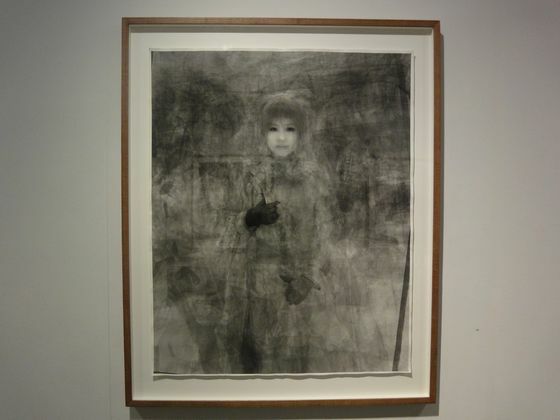 “neither portrait nor landscape 2 2010″ by Maiko Haruki. 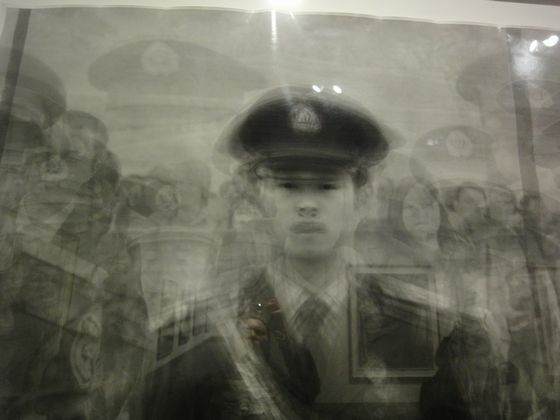 Looking carefully at the work, you will notice a shadow or body of a person captured inside. The word “portrait” is always included in Haruki’s title although it is difficult to see a human’s facial expression as a usual portrait. When I take photographs of my friend, I believe that it is a portrait of my friend. But it is ture? It was just one aspect cut off from my point of view. “inner portrait 2011″ by Maiko Haruki. 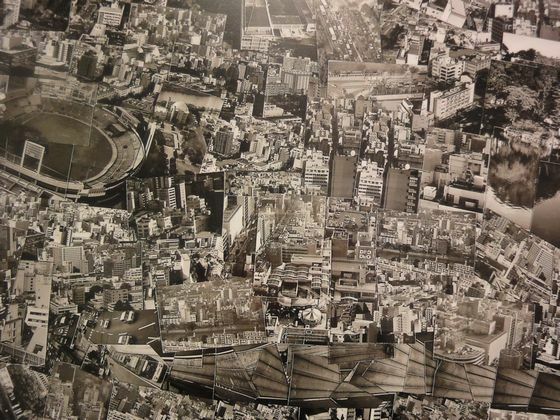 Yoichi Sano’s photographs were floating in a darkish room. They were like I am trying to recall my old memory or my dream I saw last night. It was weird feeling for me that although I am facing in front of a photograph which usually provides a clear view, it was still blur no matter how long I see it. 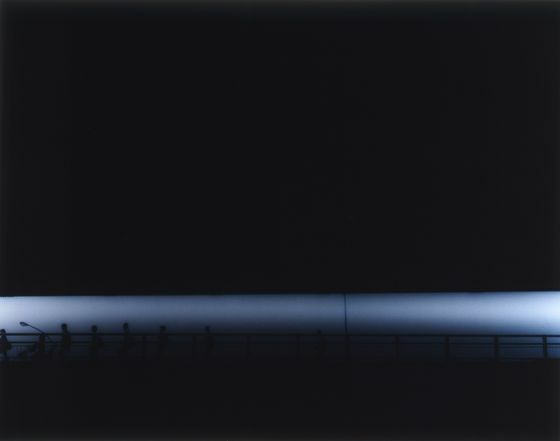 “vessel 2006-07″ by Yoichi Sano. 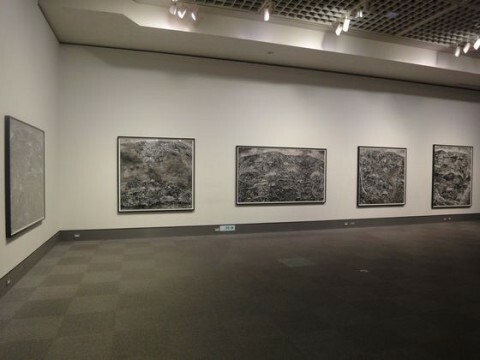 “55-04 2011″(left) and “55-09″(right) both by Kazuyuki Soeno. “WI-11 2008″ by Kazuyuki Soeno. 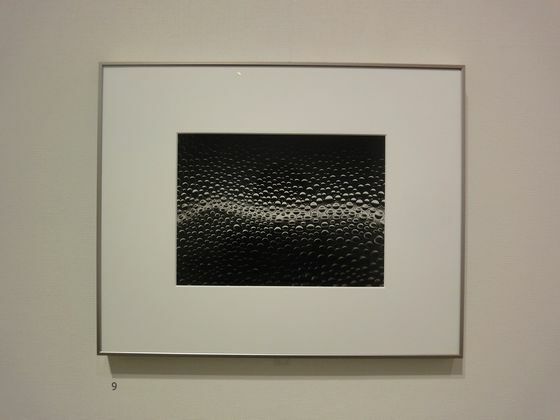 This “Photogram of Alcohol” series were created by directly placing a glass of drink on the negative holder in the head of the enlarger and the light projected through it to the paper to print. So it is not a microscopic photograph as it looks like. The drink ranges from the whiskey on the rock or bubbles in the beer which it is familiar with the artist himself. 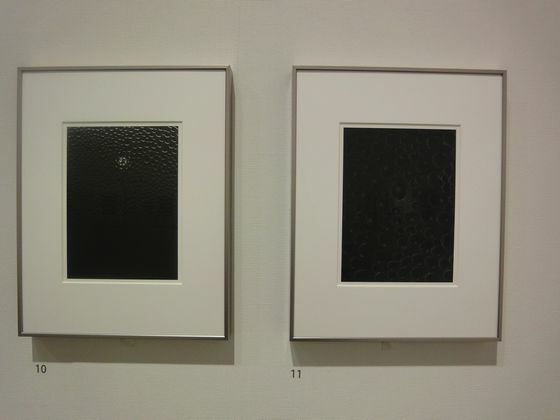 “55-34 2011″(left) and “55-32 2011″(right) both by Kazuyuki Soeno. 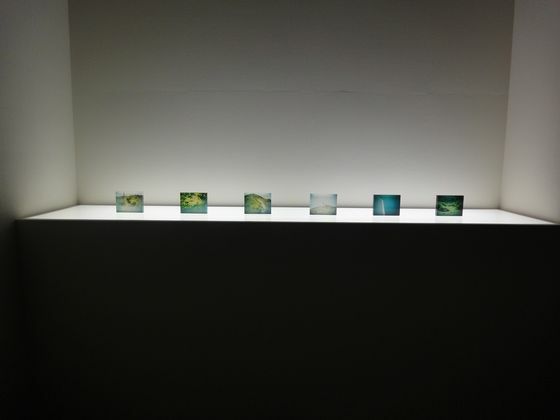 “I project a light onto things that are disappearing, intending to bring new life to the photographic paper, but after they have been dried, the prints lose their vitality. “On March 11, 2011, reality surpassed anything that could be imagined. There must be many people for whom that day altered the meaning of photography irrevocably. Photograph is not a medium to cut out our visual life anymore, but to show us the ?”minuscule facts” happening here and there unconsciously. And I need artists to actually see it. 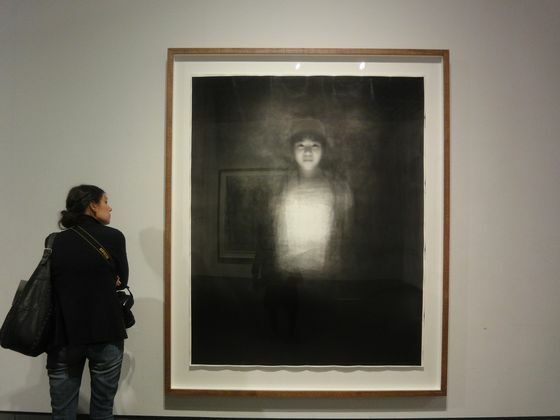 Maiko Haruki is a promising artist who experiments with films to achieve new expressions in photography. 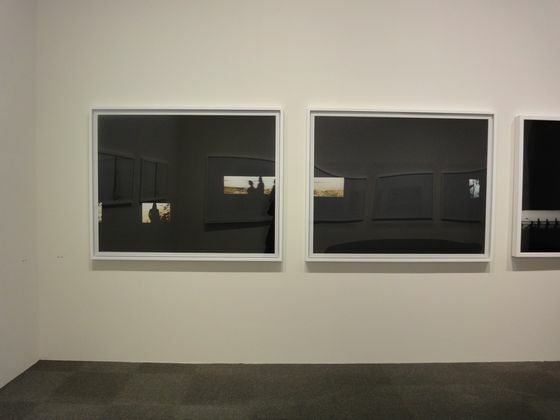 She intentionally creates under or over exposed images, which makes the photographs almost all black or white. 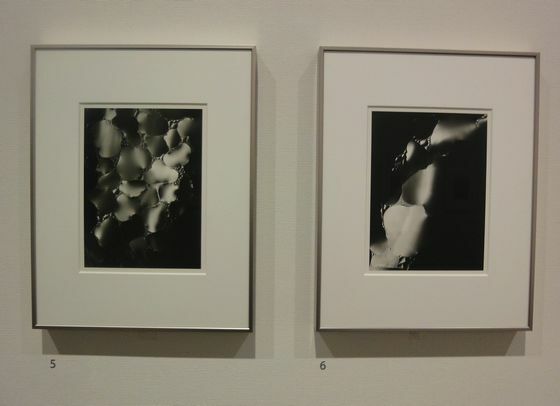 Even in the darkroom, she moves around the negatives to print the blanks between the negatives and uses as an element of her work. 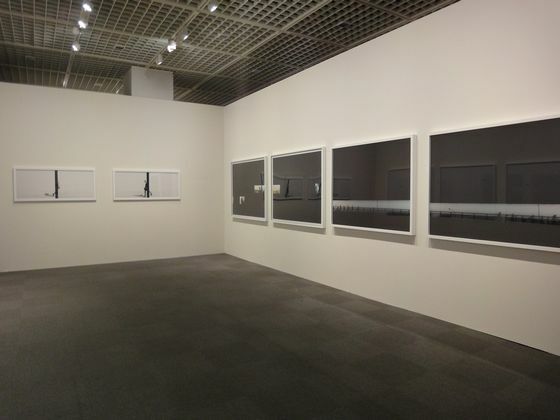 Tokyo Metropolitan Museum of photography was showing artworks by 5 emerging artists. Although they are all using photograph as a medium, their expressions were beyond our imagination and captured my eyes with excitement.